The ECCB’s Learn, Empower, Achieve, Develop LEAD Youth conference took place on Tuesday, January 19, 2016 via video conference from its Maltin Moving Conference Centre, ECCB Headquarters, Bird Rock, St. Kitts. It was to the other seven ECCB member countries and included Montserrat at the ECCB Agency Office in Brades. 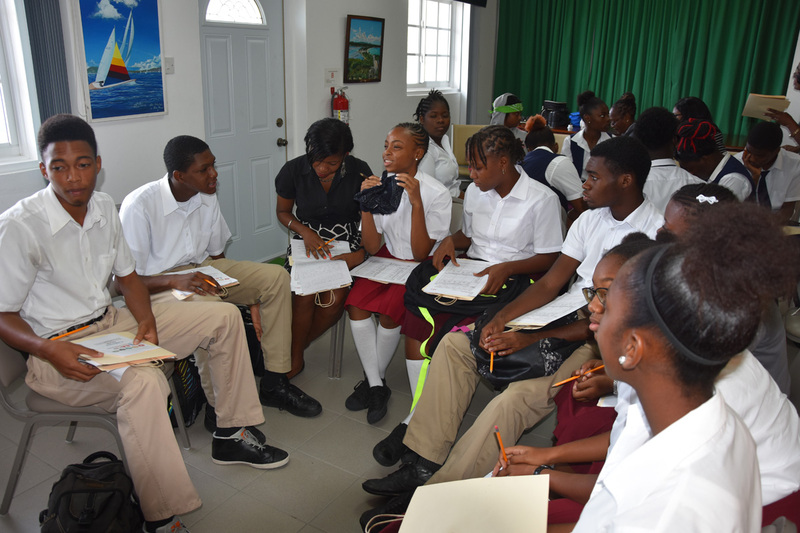 The youths across the OECS region were encouraged to stretch their mental capacities and innovate ideas. This came in opening remarks from the Minister of Education and Youth Sean Richards.in St. Kitts. 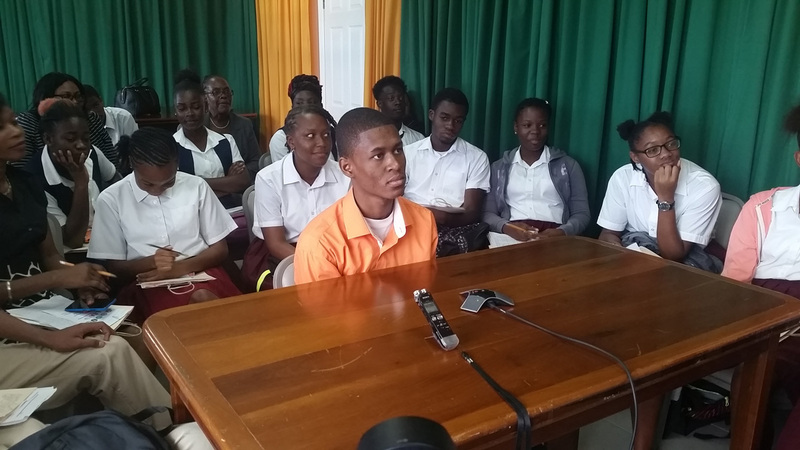 Two groups acting jointly and severally from the Montserrat Secondary School (MSS) and Community College (MCC) participate in the video conference at the ECCB Agency Office in Brades. They were outstanding in their participation winning some of the competitions that were staged. The Montserrat performance throughout the very interactive conference culminated when Warren Cassell Jr., who was one of the presenters brought down the curtains ending up being the last presenter as a result of a glitch in the program that caused him to wait for some three hours past his scheduled time. One student might have said it for all of the students who kept the youth busy, very ably answering the very hungry, enquiring and searching questions, following on all they had heard prior to Cassell’s presentation. Like Cassell other presenters spoke from different locations. Presentations followed the Welcome Remarks by Hon. Shawn Richards with Senator Winston Garroway of Grenada, Minister of State within the Ministry of Youth, Sports and Religious Affairs giving Opening Remarks. Moving into the meat of the conference Genieve Hanley, CIO LEAP and ACE consulting, St. Kitts and Nevis lead of under title The Game of Possibilities – Solving Real Word Problems in the OECS. This was followed by Yes We Can LEAD Again lead by Nigel Martin out of Grenada, Creative Director aqua.gd (design, publishers of NOW Grenada). Kimya Glasgow, ECO of Kimya Glasgow Designs Inc. out of St. Vincent and the Grenadines, continued on the Yes We Can LEAD Again. Vision For the Future was next with James Galloway, Educator and Poet from St. Kitts and Nevis took the program to lunch, pushing the program back as Calculated Risk Taking should have followed. Following a quick lunch there was a ‘TIME for LUNCH’ in a Luncheon Forum ‘Set –Up Shop’ (a 20 min segment) where the participation was not as organised as the rest of the sessions. That Session was followed by What’s in Your Bag of Treasures which took the form of competitions in which all the youths of the states took part. Montserrat had two groups like St. Kitts taking part. Participants gave their feedback telling their colleagues; Montserrat lead off: ‘I spend time with these 3 persons’; In my spare time I like to…; My personality traits include…; My talents are…; Four things I have found to be extremely worthwhile are…; Five friends who have helped me in difficult times…; These teachers have aided me in my journey through school…; These six persons’ stories have inspired me. Moving towards the end the next presentation – The Case for Partnerships by Elias Orville Dupuis II where he described “A Partnership is a single business where two or more people share ownership”. He told how Each partner contributes to all aspects of the business, including money, property, labour or skill. In return, each partner shares in the profits and losses of the business. 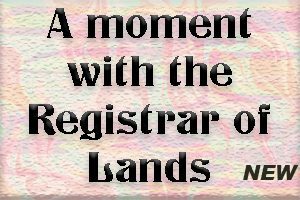 The youngsters learned there were three types of partnerships – General Partnership, Limited Partnership and Joint Venture. And under the headings, he continued, Why I chose to partner; Do you need to partner? And How to choose your partner. At the end he encouraged, “If you want to go FAST, go alone… If you want to go FAR, go TOGETHER!!! Four men shot, two fatally, in two attacks in Standpipe, Liguanea, St Andrew. @JamaicaConstab investigators now on the scene.